Distinguished University Professor and renowned multimedia artist Ann Hamilton is the mastermind behind a giant marble mosaic filling the walls New York City's WTC Cortlandt Street subway station, which reopened Sept. 8 for the first time since it was destroyed during the 9/11 terrorist attacks. 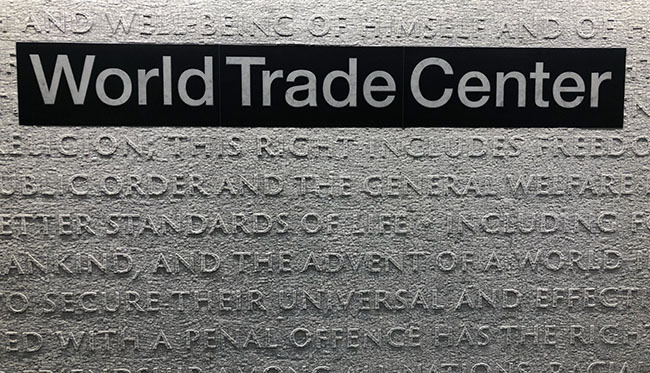 An art installation created by Distinguished University Professor Ann Hamilton graces the WTC Cortlandt Street subway station, which opened for the first time since 9/11 on Sept. 8, 2018. Hamilton's $1 million installation, titled “CHORUS,” spans 4,350 square feet and spells out text from the U.S. Declaration of Independence and the United Nations Universal Declaration of Human Rights. The piece was commisioned in 2014 by the Metropolitan Transportation Authority (MTA) Arts & Design program, which encourages the use of mass transit in metropolitan New York by providing public art in the transit environment. "The station is in the ground. The ground is the underlayment, the place where we prepare for everything we build above. What are the documents that are the underlayment for our civic aspirations, the ones that have been collectively authored and collectively held?” Hamilton said of her approach to "CHORUS" in a 2015 New York Times article. 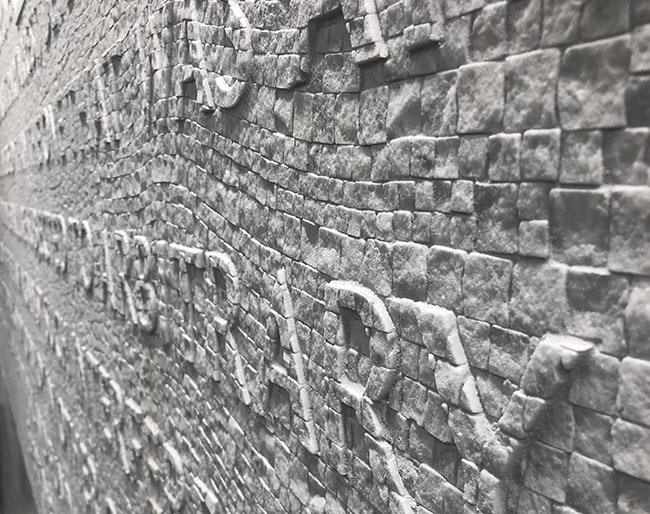 The field of woven text is set in monochromatic stone and glass mosaic, creating a tactile surface that "invites subway riders to touch the text as they read the words, creating meaningful personal encounters meant to acknowledge the civic ideals and aspirations of humanity and society," MTA stated in a press release. “Culture is built upon and with the words and languages of people, their aural and written documents, collectively produced and shared in common,” Hamilton said in the press release. In 2015, Hamilton was honored with the National Medal of Arts, the highest award given to artists by the U.S. government.